After moving to London with his family in the 1960s, Mercury attended the Ealing College of Art where he befriended a number of musicians including future bandmates, drummer Roger Taylor and guitarist Brian May. Following graduation, he joined a series of bands and sold second-hand clothes in the Kensington Market in London, as well as had a job at Heathrow Airport. In April 1970, he joined with guitarist Brian May and drummer Roger Taylor who had previously been in a band called SmileIn 1969, Mercury joined up with a group called Ibex as their lead singer. He played with a few other bands before joining forces with Taylor and May in the early 70s. They met up with bassist John Deacon in 1971, and the quartet—who Mercury dubbed Queen—played their first gig together in June of that year. In 1973, the band released their first self-titled album, but it took two more recordings for Queen’s music to really catch on. Their third record, Sheer Heart Attack (1974), featured their first hit, “Killer Queen,” a song about a high-class call girl. The single hit No. 2 on the U.K. charts, and peaked at No. 12 in the U.S.
Freddie was a fan of Aretha Franklin, The Who, Jim Croce, Elvis Presley, Led Zeppelin, The Rolling Stones, Jimi Hendrix, John Lennon, and The Beatles, but his absolutely favorite performer was singer-actress Liza Minnelli. With a sound that has been described as a fusion of hard rock and glam rock, Queen had an even bigger hit in 1975 with their album, A Night at the Opera. Mercury wrote the song “Bohemian Rhapsody,” a seven-minute rock operetta -by many considered the best rock song ever- for the album. Overdubbing his voice, Mercury showed off his impressive four-octave vocal range on this innovative track. The song hit the top of the charts in Britain and became a Top 10 hit in the United States. In addition to his talents as a singer and songwriter, Mercury was also a skilled showman. He knew how to entertain audiences and how to connect with them. He liked to wear costumes—often featuring skintight spandex—and strutted around the stage, encouraging fans to join in the fun. Artistic in nature, Mercury was also actively involved in designing the art for many of the group’s albums. In the years that followed he became a legend of “Elvis” proportions. Queen’s popularity continued to soar through the late 70s and early 80s. “We Are the Champions,” off of News of the World (1978), became a Top 10 hit in the United States and in Britain. It was featured on a single with “We Will Rock You”—both songs have taken on a life of their own as popular anthems played at sporting events. Always exploring new and different sounds, Queen also tried their hand at the big music trend of the time, with the disco-flavored “Another Bites the Dust” in 1980. Off that same album, The Game (1980), Mercury and the rest of the band showed their range as performers with the rockabilly-influenced hit “Crazy Little Thing Called Love,” which Mercury penned. In addition to his work with Queen, Mercury released several solo albums, including 1985’s Mr. Bad Guy. He also collaborated with opera singer Montserrat Caralle for 1988’s Barcelona. Offstage, Mercury was open about his bisexuality, but he kept his relationships private. He also lived a superstar’s lifestyle. He loved champagne and liked to collect art, once spending more than $400,000 on a set of hand-painted china. Always one for a party, Mercury threw himself elaborate celebrations; for one particular birthday he flew a group of friends to the island of Ibiza. The occasion was marked by fireworks and flamenco dancing. By 1989, Mercury largely retreated from public life. He did not promote or tour for Queen’s next album, Innuendo (1991), and rumors about possible health problems began to circulate. On November 23, 1991, Mercury released a statement: “I wish to confirm that I have been tested HIV-positive and have AIDS. I felt it correct to keep this information private to date to protect the privacy of those around me. However, the time has come now for my friends and fans around the world to know the truth and I hope that everyone will join with my doctors and all those worldwide in the fight against this terrible disease.” The next day November 24, 1991, he died from AIDS-related bronchial pneumonia at his London mansion. Mercury was only 45 years old. Longtime friend and bandmate Roger Taylor provided some insight to Mercury’s decision to keep his battle with AIDS private. “He didn’t want to be looked at as an object of pity and curiosity, and he didn’t want circling vultures over his head,” Taylor said, according to a report in Entertainment Weekly. The rock world mourned the loss of one of its most versatile and engaging performers. 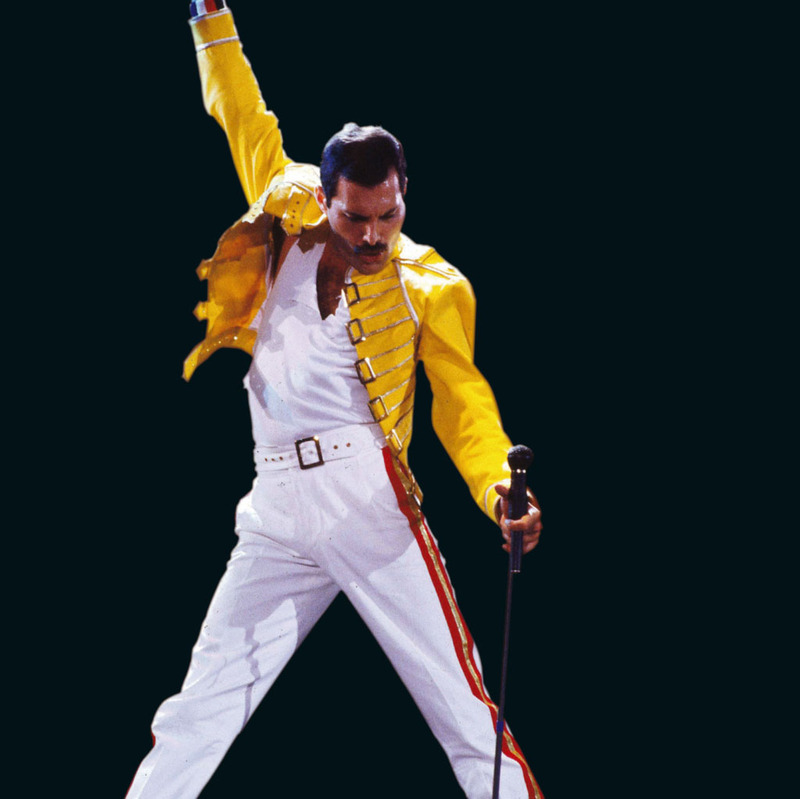 To honor his memory, the Freddie Mercury Tribute: Concert for AIDS Awareness was held in April 1992 at Wembly Stadium. A diverse range of rock acts—from Def Leppard to Elton John—performed to celebrate Mercury and advance the fight against the disease that took his life. That same year, Mercury’s mock operatic masterpiece, “Bohemian Rhapsody” made a return to the pop charts, illustrating its timeless appeal. Before his death, Mercury had done some work in the studio with Queen. These efforts were released in 1995 on Made In Heaven, the group’s last album with all the original members. Gone but clearly not forgotten, this collection of Mercury’s final performances reached the top of the British charts. In 2001, Mercury and rest of the band received special recognition for their contributions to American music history when they were inducted into the Rock and Roll Hall of Fame.